When we shop we tend to buy things in the colours that we like most or that we have been complemented in. For some of us this means that our wardrobe can look pretty samey- with lots of different items in the same colour, tones and hues. I’m going to show you how to swap those, ‘I have nothing to wear’ mornings or, ‘I’ll look silly if I wear all yellow’ days. It’s pretty simple, I promise and soon you’ll be be able to mix and match regardless of colours. When wearing any monochromatic outfit, or wearing one colour in different tones or shades, I’d always always recommend mixing up textures. Texture is an important element when putting together monochromatic looks otherwise if your monochromatic outfit consisted of just one fabric it would most likely look pretty dull. This beauty here has paired her plum breastfeeding top with a faux fur gilet in the same colour. It’s a simple combination but it looks chic because of the different textures. My suggestions: try mixing cotton with leather for a cool look, wool and canvas (shoes) for a casual look or satin and velvet for a more formal look. Don’t head out and buy more if you don’t need to, fast fashion is fast becoming a thing of the past! Why not shop your wardrobe and see what you can come up with. 3 Ways To Style The Beige Breastfeeding Top. Wearing similar colours together can make any outfit look well put together and chic. Always pair with the different items later for a completely different look. But it’s Christmas add some gold glitz or sequins for a festive look. Pair this top with more neutral colours for a more formal ensemble. If your headed back to work try pairing it with a khaki or camel colour blazer set. If your work allows for it you could swap the blazer for a cardigan. If there’s no occasion in particular pairing this top with simple denim jeans means you can take this look anywhere from a quick school run, then to play group and a coffee catch up with some friends. The best thing about all of these looks is that they’re breastfeeding friendly with the Chic and Discreet Long Sleeve Breastfeeding Top – Beige. I love to see how you style our clothes, be sure to tag us in your photos. Chic and Discreet Basics is a collection of clothes that are very versatile therefore very cost effective. You’ll wear these pieces again and again and again for years and seasons to come. We’ll give you some styling tips on how to get the most out of these basics. 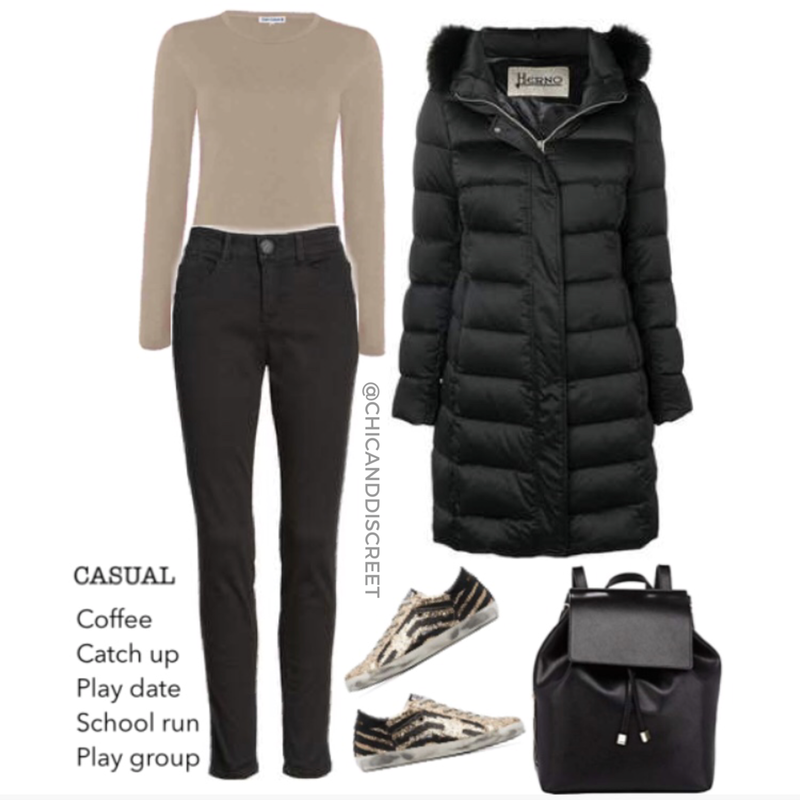 You’ll be ready to go, in style, whether you’re headed out for a school run, a coffee catch up, play group, a Christmas dinner or a day at work. Each item in the collection features a simple design or pattern which means it can be mixed and matched for a range breastfeeding friendly outfits throughout the year. We love seeing how you style our clothes so make sure to send over and tag us in all photos.